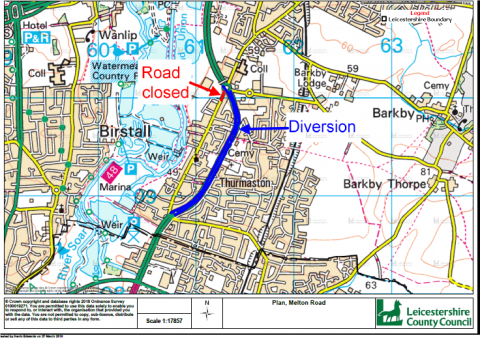 A Temporary Traffic Regulation Order (TTRO) is to be made for the following locations: Melton Road, Syston Western Bypass, Newark Road, Barkby Thorpe Lane, Fosse Way, Thurmaston and Syston (see attached plan). 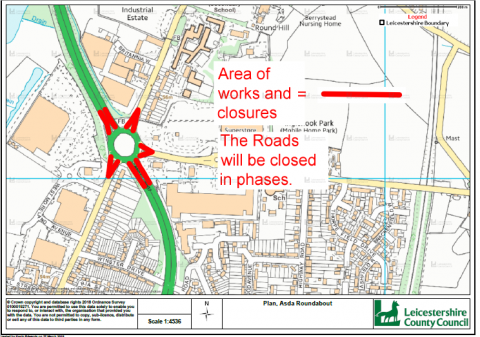 The purpose of the TTRO is to facilitate Leicestershire County Council with carriageway maintenance works. 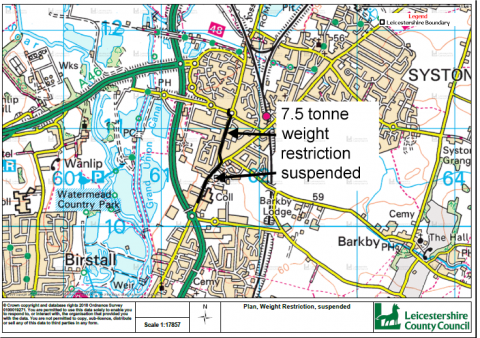 The TTRO will incorporate temporary road closures, temporary 7.5 tonne weight restriction suspensions. All of these works will be undertaken, overnight, in separate phases. The duration of the TTRO is for a period not exceeding 18 months commencing on the 14th May 2018. The actual duration of the restriction is not anticipated to exceed a period of 2 months within the aforementioned duration.